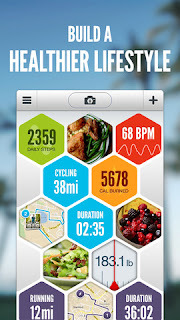 Exercising Apps have become a must have now a days with the kind of stressed life we lead. What better way to monitor you health then to have App in you pocket which tells you how you have slept, ate and ran and how much you should eat, sleep and run. Many of the Apps on Apple Store cater to one part of the exercising but Argus for iOS has tried to blend all these metrics together. Argus has a great interface which lets you plan all your day to day exercising with ease. If you click on the plus symbol the App will gives all popular forms of exercise like running, cycling and walking. Argus also monitors the body weight and heart beat along with your daily water, coffee and diet intake. However you have to fill the details correctly and truthfully if you want this App to help you out. And believe me, that can be pretty distressing, especially if you have a night out partying. Argus gives you three types of goals which you have to achieve, provided, as I said earlier, you input the data truthfully. The App will tell you exactly how much you have slept and how much sleep you actually need. The amount of water you drink and the optimum amount your body requires along with the distance you walk and are required to walk being other two goals which you should aim to achieve. Argus has a ‘trends’ screen which shows all of the different data types as a colour coded chart for your information. You can use this App rather nicely if you have serious exercising issues. You can download the App here from Apple Store for free.